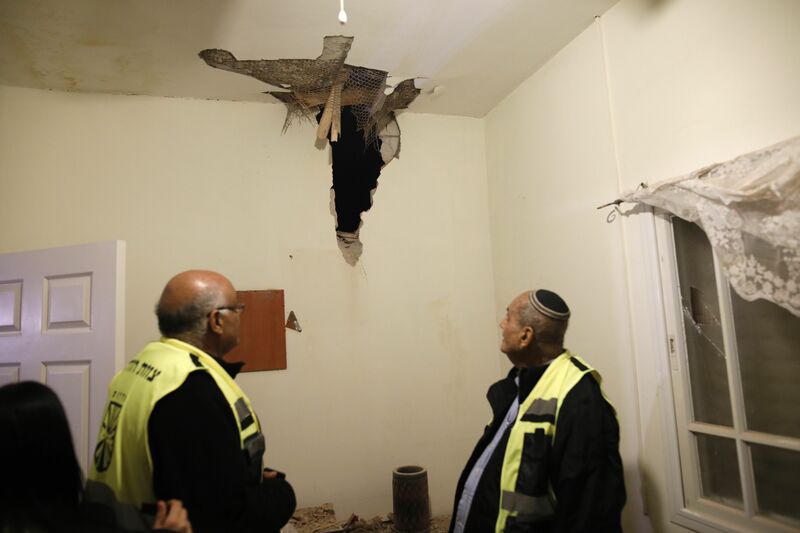 Hamas and Israel agreed to a second ceasefire in just 10 days with the help of Egypt after at least 10 Hamas-manufactured rockets struck a home in Mishmeret, Israel, early Monday. The Israel Defense Forces say the rocket was fired from the southern Gaza Strip and caused seven casualties, according to Israeli newspaper Haaretz. Among those wounded were four adults, a six-month-old baby, a three-year-old and a 12-year-old. Israel’s Iron Dome, which intercepted at least one rocket during Hamas’ last surprise attack last Thursday, was not activated Monday because Israel did not expect rocket fire to strike the center of the country less than two weeks since the last ceasefire agreement with Hamas. After firing warning shots, the IDF responded to Hamas’ attack later on Monday by targeting key Hamas sites, including a three-story building that contained headquarter offices for “several wings of Hamas’ intelligence apparatus,” Hamas training and military outposts, public security offices and several civilian buildings, as well. Seven casualties were reported in Gaza. Israeli Foreign Minister Yisrael Katz said in a television interview that Israel’s response was “the most expansive action Israel has taken in Gaza since 2014’s Operation Protective Edge,” Haaretz reports. Public bomb shelters were opened in both countries in preparation for responses to the offensive. Egypt managed to negotiate a ceasefire between the two nations Monday evening. The airstrikes come as Israeli Prime Minister Benjamin Netanyahu visits with President Donald Trump in Washington, D.C. this week. While the prime minister originally planned to spend several days in the United States, he cut his trip short upon news of the attack. The attacks also come amid political tension within Gaza, as more and more citizens express their dissatisfaction with Hamas’ leadership — or lack thereof — since the group gained control of the territory in 2007.